Same production company. Same studio. Same designer? 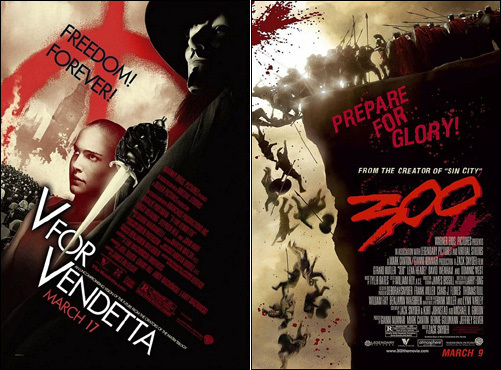 The exclamations on the posters for 300 are comically bad. My favorites are "Tonight we dine in hell!" and "Pledged to crush!"